CYBERJAYA: Losses involving cyber crime, specifically online scams, have been on the rise since 2017. 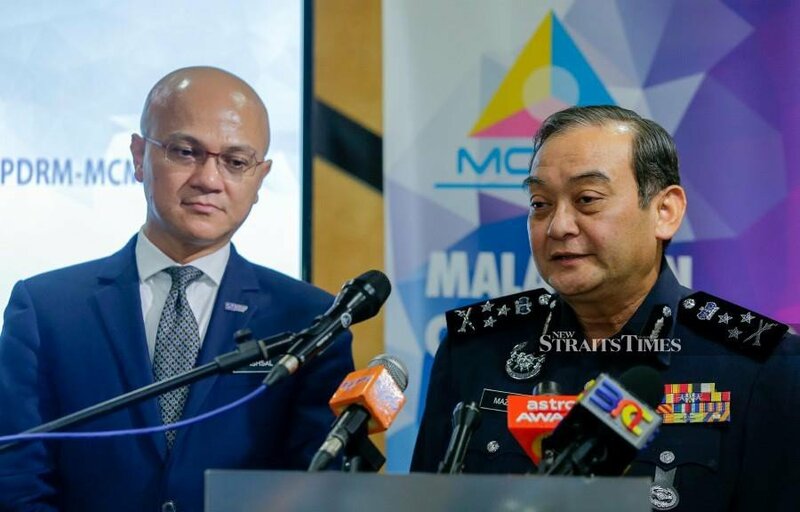 Federal police Commercial Crime Investigation Department (CCID) director Datuk Mazlan Mansor said in 2017, losses incurred through these crimes totaled RM266 million. Last year, he said, the figure had gone up to RM398 million. “In the first three months of this year, we recorded losses of RM64 million. “I believe this number will only increase. “The rise is due to the gullibility of some people. “We are still receiving complaints and reports about such cases. “I urge the public to check with police first for verification before making payments for these online schemes,” he told a press conference at the Malaysian Communications and Multimedia Commission (MCMC) headquarters here. Mazlan chaired a meeting with the commission and launched the Cyber Crime Committee, which is a collaboration between police and MCMC. The committee aims to spearhead tasks and actions to combat cyber crime threats. Mazlan said Macau Scam syndicates formed the bulk of online scammers in Malaysia. Victims of this scam, he said, could lose up to RM500,000 in a single transaction. “What is more unfortunate is that these victims do not lodge police reports. Mazlan said there were two reasons why people failed to lodge police reports. “One is that they are ashamed with their family members. Secondly, they are afraid of telling their spouses. “As such, we are collaborating with MCMC to discuss cyber crime related issues and find ways to curb the problem. “Action will be taken against perpetrators if we find enough evidence. “We advise the public to be careful and vigilant when it comes to social media platforms,” he said. The more common cyber crime offences recorded by MCMC include impersonation fraud, love scams, online gambling, criminal defamation, sedition, dissemination of obscene materials, phishing, hacking and data theft. MCMC chairman Al-Ishsal Ishak said, besides carrying out enforcement, the commission also provided programmes such as capacity-building and education for the public. “With this committee, we hope to raise efficiency in dealing with such crimes,” he said.